After over 3 years in business, and 6 years of using cloth diapers on my 3 kids, the most common reoccurring issue we walk customers through is getting rid of the stinky diaper smell. Our first year of using cloth diapers was riddled with stink, leaks, and regular diaper rash. After trying a bunch of different detergents (and falling in love with Charlie’s soap), switching to a hanging diaper pail, and changing up our wash routine numerous times, we finally had great smelling diapers, no rash and no leaks. This is what we hope to help every customer find, their own wash routine (that works with their washer and the makeup of their water) that makes using cloth diapers enjoyable and stink free! I’ll walk you through some reasons for why your diapers might not be getting as clean as they could be (in no particular order), and I’ll try to keep it simple! Reason 1, HARD WATER: Hard water decreases your detergent’s effectiveness (making it hard to get your diapers clean). This can be fixed by adding Charlie’s Booster (if using Charlie’s soap, 1 scoop of each in each wash) or adding another water softener like Calgon to your detergent. Even if you don’t think your water is hard, this is definitely worth trying as it can make a world of difference and be an easy solution! Soft water makes for a better clean! Reason 2, HOT WATER: Water temperature can cause a problem if it’s not warm enough. Water temp should be around 60C/120F. The heat helps clean out detergent and urine residues and increases the effectiveness of the detergent itself. You can adjust your water temperature on your hot water heater. Reason 3, OVERLOADED WASHER: If you have too many diapers in your wash (usually 30+), you can overload your washer. 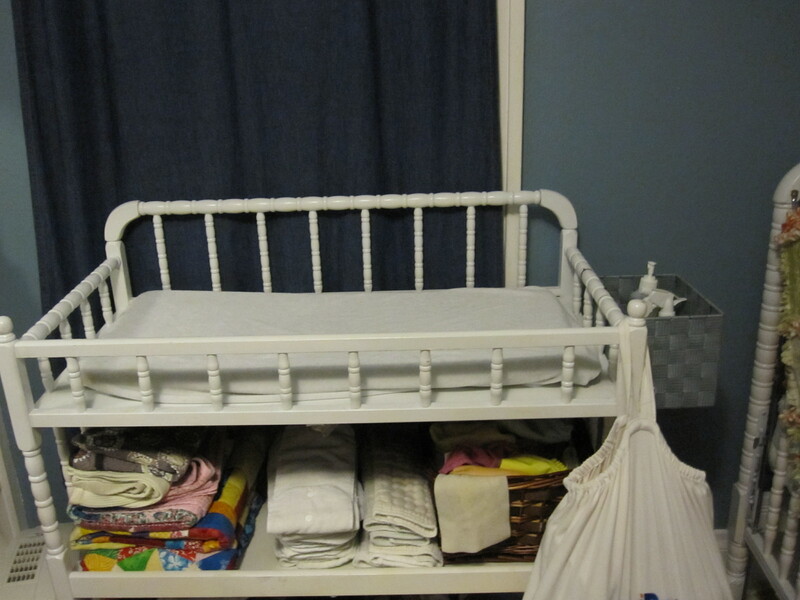 This can cause problems because the diapers do not have room to agitate to get washed and rinsed. Also, the bigger the load of diapers the more water that is needed to wash them. It is recommend that you wash every 2-3 days (the longer you wait the harder it can be to clean them) and that’s about 18-24 diapers and would make the perfect wash size. Reason 4, DETERGENT: Again, we do recommend Charlie’s soap as it rinses completely out. Most other detergents leave a residue that builds up through many washes causing stink, rash and leaking. Charlie’s soap will rinse out detergent residues, or you can do a lot of rinsing in HOT water and sometimes adding a touch of dawn dish soap will also do the trick. Whatever detergent you choose to use with your diapers (just make sure it’s not on our No list), use that detergent for all your laundry. This is less complicated and helps make sure no bad detergent gets into your diapers. 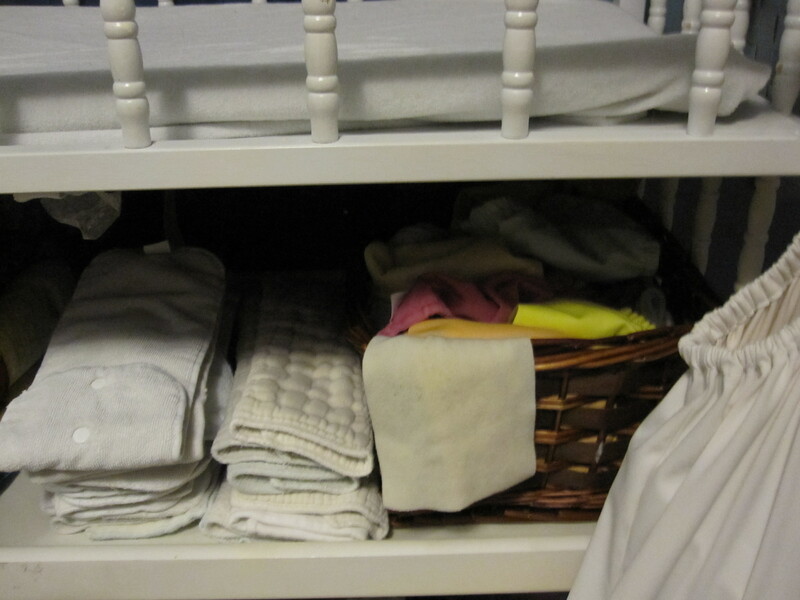 Reason 5, Basic No No’s: Do not use fabric softeners or dry sheets. These can create a film on your diapers and decrease their absorbency. 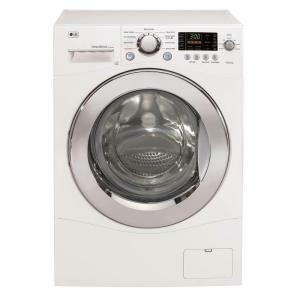 It does help if you do not use these with your regular laundry too, as they can leave residues in your washer or dryer. No bleaching or vinegar (unless recommend by the diaper manufacturer), spot cleaners, or any weird remedies. Reason 6, ENOUGH WATER: With a regular top loading washer, just make sure you are washing your diapers using a FULL water level. Our washer has two options, one to fill for a half load and one for a full load. I always do the Full load even if the diapers only take up half the washer. Water is VERY important. This brings us to another big topic, HE/front loading washers. HE washers can save you money by using less water, but that doesn’t bode well for getting your diapers clean. To really clean your diapers it takes a lot of Hot water. Sometimes with an HE machine the diapers themselves will soak up all the water leaving very little water for them to be washed in. Really, it can look as if the machine is just tossing your damp diapers around! Many manufacturers suggest adding a large wet towel or two to your load of diapers (this can fool your machine into thinking the load is bigger and therefore adds more water). This sounds good (and is worth a try), but it seems that with 2 towels in there, it would decrease the amount of agitation and even further decrease the washers ability to get the diapers clean. We suggest getting your diapers fully wet before throwing them in the wash. This can be done by putting your wetbag it in a bucket (or garbage can, so you are keeping your dirty diapers in the bag and avoiding a mess) and add a pitcher or two of water. Once the diapers soak up the water or they seem soaked, then put them in the wash. 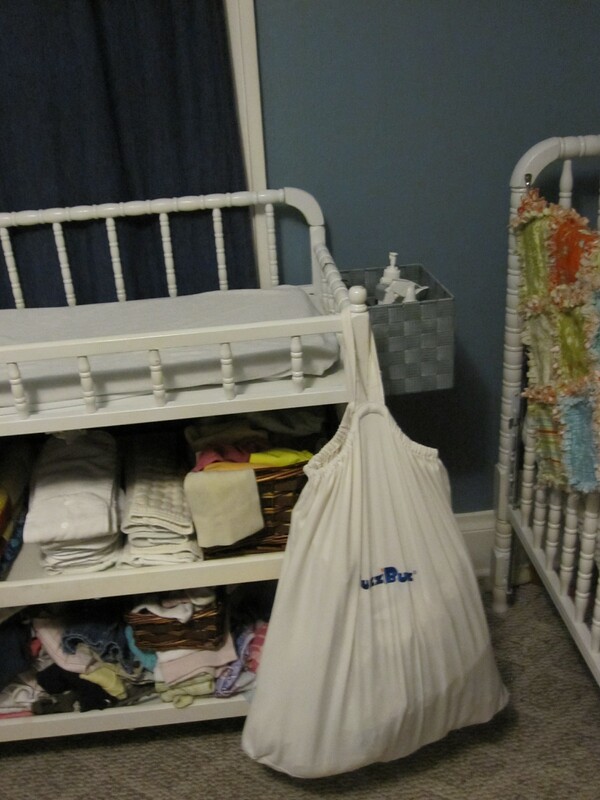 If you use a bucket to store your diapers, then simply add a pitcher of water to your pail. Adjust the water setting on your machine manually. Some HE machines you can set the water level to high (you may have to check your washers manual to see if that’s an option for you) or a push the Water Plus button if your washer has that. If you have a Spin Speed button be sure to set that on the low setting (this will help keep more water in the washer for rinsing). Then, if you do another rinse, still keep the Spin Speed on Low. Wash on the Heavy soil setting. This will do a much better job at cleaning your diapers. Remember to not use the “sanitize” option. This setting should be used sparingly as it has been know to be too rough on diaper covers (ruining PUL/waterproofing and leg elastic). If Charlie’s soap or Rockin Green doesn’t seem to be doing the trick for your HE washer, feel free to try the Original powdered Tide. We have heard that this has worked great for front loading HE washers. Remember, it does have to be the original powdered version and only 1 tablespoon to start, then you can add more if you need to later. Lastly, I’d like to remind you that even with the perfect detergent and wash routine, you can still end up with a smell or rash issue from time to time. This is common, and don’t panic. Every month or two we do a deep clean of our diapers. We keep it simple and do 2-3 extra HOT washes with 2-3 scoops of Charlie’s in each wash. This get’s our diapers back to a zero in the smell arena and then we continue with our regular routine. Oh, and if you have a staining issue, use Charlie’s Pre-spray! This stuff works awesome and is cloth diaper safe. Do you have more questions? We started a Facebook group called Cloth Diapering Help, here you can post your questions about washing and get answers. This is a community where cloth diapering parents can help each other with any cloth diapering issue and save everyone the time of searching for answers online. Please join, get answers to your burning questions and continue to enjoy using cloth!